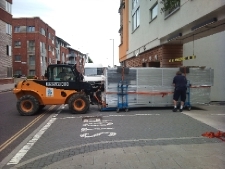 Contract Lifting - Stair Climbing - Heavy Lifting Service. 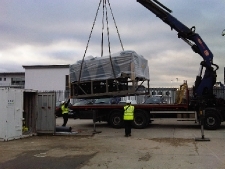 Contract Lifting - Machine & Factory Relocation - Heavy Lifting Service. Specialist Lifting Solutions Contract Lifting Service - Machine Factory Relocation. We offer a contract lifting & lift and shift service for industrial plant, equipment and machinery across the UK. Our contract lift & shift service can be a 1 day heavy lifting programme, where we lift a single object or complete Factory Relocation. If relocation is required Specialist Lifting Solutions can arrange transport, regardless of weight or size. Contract Lifting enables you to reduce risks by contracting out the planning and supervision of the lifting operation.